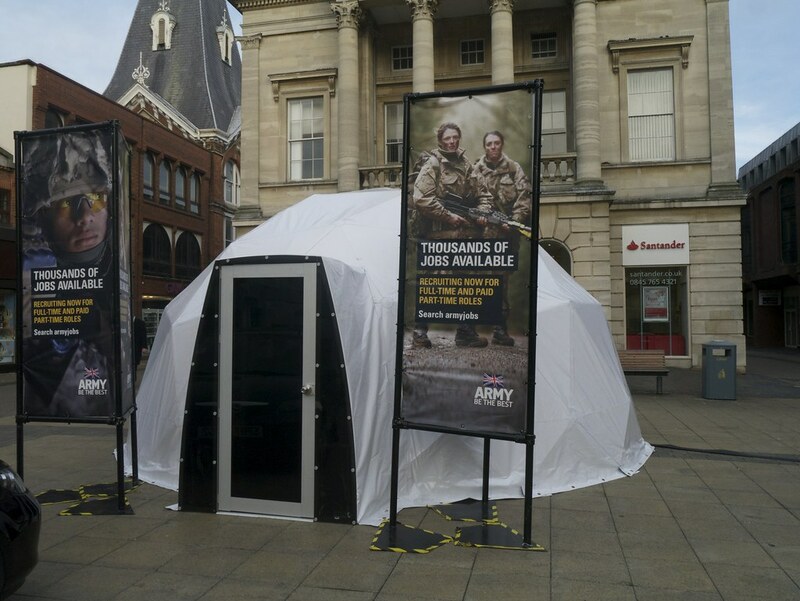 Back in 2014, Capita enlisted two 6 metre domes to deliver simultaneous army recruitment roadshows at several locations around the UK. One dome toured England and the other travelled North to Scotland, along with an Igloo-trained crack team of Ministry of Defence recruitment officers. The Igloos were chosen for their mobility and size, and the ease with which a non-Igloo crew could be trained. Of course the shape of the domes, which never fails to grab the attention, was also a major factor.